In 2011, the effects of Hurricane Irene were felt throughout New Jersey, New York, and Pennsylvania. Countless homes, apartments and office buildings were victims of severe flood damage,hazardous mold development, and deterioration due to severe water damage. 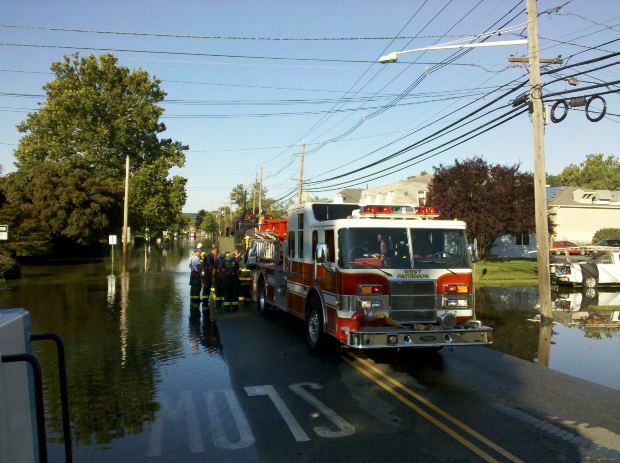 In 2012, Superstorm Sandy did even more damage! Fortunately, Gerrus Maintenance Inc, was on the job. Gerrus specializes in prompt water damage,flood emergency services, sewage backup cleaning and disinfecting, mold prevention, sanitizing and deodorizing. Our staff members are trained in emergency and disaster restoration and provide full health hazard removal services. We hold multiple certifications and our teams are managed by a professional chemical engineer to facilitate safe and healthy cleanups. If your home, commercial, or industrial building is facing a fire, water, sewage or flood emergency, call Gerrus Maintenance Inc. to provide quick, cost effective services 24/7/365. Since 1974, our chemical engineer-managed staff has been caring for houses, offices, apartments, factories, and warehouses that have been damaged by single disasters or combinations of fire, water, smoke and mold. We are IICRC-certified to quickly dry and sanitize both structure and contents. We are also ACAC-certified mold prevention, mold remediation, and microbial remediation specialists. We utilize safe, anti-mold, anti-microbial, health hazard sanitizing techniques, while providing emergency water damage services. In the event of water or flood damage, we can intervene and help prevent mold from becoming a problem. If your home or office has mold symptoms, contact Gerrus Maintenance Inc. to treat and remediate the carpeting, walls, bathrooms, ceilings, floors, and contents that have been mold and odor damaged. Mold is not something you want growing in your home or office. It can be unhealthy, unsightly, have a bad smell, and cause great damage to your house, office or commercial building. If you have mold growing in your residence or workplace, then you need to call Gerrus Maintenance Inc., the # 1 certified mold remediation and mold damage removal company in New Jersey. Our staff specializes in certified mold & mildew removal, remediation, and prevention in any house, apartment, office, condominium or commercial building. We also offer cost-effective solutions to odor, microbial, allergen, chemical, biohazard, poor air quality, and other health hazard problems in your home or workplace. Call us to safely eliminate the musty smell from your basement, crawl space, attic, and living areas; remove mold species, such as penicillium or black stachybotrys, from your storage spaces, offices, and living quarters; reduce the allergic symptoms that you suffer indoors; and increase your indoor air quality. Water Damage & Flood Damage Cleaning For Home, Office or Warehouse. Commercial, Residential or Industrial Cleaning, Maintenance and Remediation Services for New Jersey and All Areas in NJ, NY, PA Since 1974.